Although the FDA approved florbetapir (Amyvid) in April 2012 as a tracer for PET scans in detecting brain amyloid, Medicare has not covered it. The test costs about $3,000 in total and some patients have been paying for it out of pocket. Last month, a Medicare advisory panel voted against medicare coverage for amyloid brain PET scans. Although the technology has been around for eight years, and numerous studies have shown its accuracy in detecting amyloid plaques, the committee felt that it did not improve health outcomes in patients. One major concern has been what to do with a positive result from the scan given that no current therapy exists to alter the progression of the disease. It is expected that such a test would be used not for patients who have clear-cut Alzheimer’s dementia, but rather to identify those who are at greatest risk for developing the disease. There have been many studies that have shown the connection between amyloid in the brain and subsequent development of memory problems and Alzheimer’s dementia. However, the question still remains as to what to do once the scan is found to be positive. I would submit that there is much to be gained, not only from a positive scan, but even more so from a negative scan. The test may, in fact, be most useful in patients with Mild Cognitive Impairment (MCI). About 50 percent of patients will progress to full-blown Alzheimer’s disease dementia within five years. This scan would help us determine to which group a patient belongs: MCI due to Alzheimer’s disease or not due to Alzheimer’s disease. Such early detection would allow patients and families to plan for the future as opposed to the cases I see routinely in the clinic where the first manifestation of memory impairment is something such as a medication overdose, financial mistakes or other functional issues with potentially serious complications. As a clinician, I see great benefits not only in being able to accurately inform my patients about the cause of their cognitive impairment, but also being able to tell a patient with MCI that he or she does not have amyloid in the brain—that is, not on the path towards Alzheimer’s dementia. In these cases, we would initiate other studies as part of the work up to evaluate the cause of the patient’s cognitive impairment. 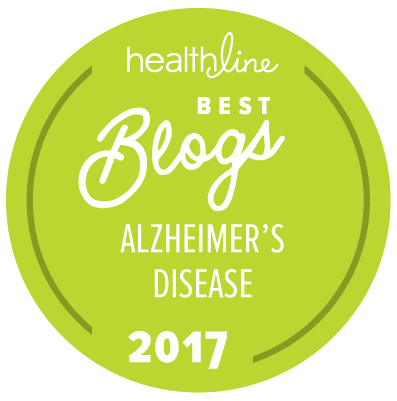 In fact, just one day prior to the Medicare advisory panel meeting, the Alzheimer’s Association and the Society for Nuclear Medicine published guidelines specifying in which patients amyloid scans would have the greatest impact on outcome. Until such coverage is available, we will rely on clinical history, neurological and cognitive evaluation, blood tests and volumetric MRI for evaluating patients with cognitive complaints. As disease-modifying treatments become available, the coverage of such scans will no longer be in question. I agree with the Medicare advisory panel not to pay for these scans because what good does it do to the patient to know and worry if there is no cure nor method devised yet to stop the process of developing amyloid. I see your concern. At the same time, as tax payers, we have to trust that CMS is doing the right thing by not spending money that does not directly contributed to improved health. If and when CMS begins to deny treatment that will improve the health of beneficiaries, then I think we have a problem. Dr Raffi I agree with you. Proper and timely diagnosis of any suspected disease IS the first step, and the most important one. You cannot accurately assess, develop a cure for, treat (or choose not to treat) that which is not known, followed and/or open and subject to trials and research. The right to learn ones true health status is empowering, and it allows us to proceed forward, whether the test findings are currently treatable or not. Far less stressful than worrisome unknowns or wrong assumptions. Also, these scans are only done if there are symptoms, so insurers should be compelled to cover it. As there are many potentially-curable diseases that share the same symptoms as Alzheimer's, and could be treated if caught early. Imo, preventative medicine IS the most cost-effective medicine. And, without it diseases like Alzheimer's would stay forever in the shadows. I firmly believe "the right thing" is access to full knowledge of our existing health issues. Only then can we deal with those issues in a pro-active way, instead of playing guessing games with brain-related symptoms. It doesn't always mean curative, but it can and should help us with planning ahead on financial issues, family and housing concerns, as well as allowing the patient time for life-style adaptations that would expand length and quality of life. Additionally, diagnostic brain scans in suspected dementia are beneficial to research & development, as they tell us exactly how many people are affected relative to the plaque, variables, rate of progression, and where to most effectively concentrate research dollars at cure & prevention efforts. We all pay taxes, and I for one do not want to see aging Americans denied informative non-invasive tests and newer life-altering procedures that THEIR years of paying taxes helped to develop. Also, since more of these scans would be done, costs should come down substantially. And, cost of a $3,000 scan pales in comparison to less cost-effective expense of guesswork medicine that often leads to misdiagnosis and misplaced worry, time and cost to under or over-treat an unknown.